Bu araştırma çalışmasında oyunlaştırma yönteminin öğrenme sürecinde öğrencilerin motivasyonları üzerindeki etkisini belirlemek amacıyla yayınlanan makalelerin analiz ve değerlendirilmesinin yapıldığı bir içerik analizi yapılmıştır. Araştırma kapsamında incelenen çalışmalar ışığında önerilerde bulunulmuştur. Çalışma kapsamında arama motorunda “gamification”, “motivation” ve “experimental” anahtar kelimeleri kullanılarak 9 tane makaleye ulaşılmış ve mevcut durum açıklanmaya çalışılmıştır. Araştırma kapsamında oyunlaştırma yönteminin motivasyon üzerindeki etkisine yönelik anlamlı fark 7 çalışmada elde edilirken 2 çalışmada anlamlı farklılık bulunmamıştır. İncelenen çalışmalarda en çok kullanılan oyun elementlerini puan, seviye (level), ödül ve rozet olarak belirlenmiştir. İncelenen çalışmalar ve literatür doğrultusunda oyunlaştırma ile sürecin sonunda öğrencilerin öğrenmeleri ve motivasyonları üzerinde olumlu sonuçlar elde edebilmek için öncelikle iyi planlanmış bir öğretim tasarımına ihtiyaç vardır. Etkili öğretim tasarımları yapılmadığında hiçbir oyun elementi bu eksikliği gideremeyeceği gibi süreçte istenilen hedeflerin de gerçekleşememesine sebep olabilmektedir. Bireylerin kendi gelişimlerini izleyebilecekleri ve bu gelişimlerini devam ettirebilecekleri süreçler özerklik, yetkinlik ve bağlılık duygularını destekleyecek şekilde planlamalar yapılması öğrencilerin hem öğrenmeleri hem de motivasyonları üzerinde olumlu sonuçlar alınmasında daha faydalı olacaktır. Akbaba, S. (2006). Eğitimde Motivasyon. Kazım Karabekir Üniversi Eğitim Fakültesi Dergisi(13). Akbaba, S., & Aktaş, A. (2005). İçsel motivasyonun bazı değişkenler açısından incelenmesi. Marmara Üniveristesi Atatürk Eğitim Fakültesi Eğitim Bilimleri Dergisi (21), 19-42. Bolat, Ö. (2016). Beni Ödülle Cezalandırma. İstanbul : Doğan Kitap. Bruckman, A. (1999). Can educational be fun? Game Developer's Conference. California. Buckley, P., & Doyle, E. (2016). Gamification and student motivation. Interactive Learning Environments, 1162-1175. Butler, A. C., Marsh, E. J., Slavinsky, J. P., & Baraniuk, R. G. (2014). Integrating cognitive science and technology improves learning in a stem classroom . Educational Psychology Review, 26(2), 331-340. Büyüköztürk, Ş., Kılıç Çakmak, E., Akgün, Ö. E., Karadeniz, Ş., & Demirel, F. (2016). Bilimsel Araştırma Yöntemleri. Ankara: Pegem Akademi. Chen, C.-H., Liu, G.-Z., & Hwang, G.-J. (2016). Interaction between gaming and multistage guiding strategies on students’ field trip mobile learning performance and motivation. British Journal of Edtıcational Technology , 47(6), 1032-1050. Cózar-Gutiérrez, R., & Sáez-López, J. M. (2016). Game-based learning and gamification in initial teacher training in the social sciences: an experiment with MinecraftEdu. International Journal of Educational Technology in Higher Education, 13(2). Deci, E. L. (1971). Effect of externally mediated rewards on instrinsic motivation . Journal of Personality and Social Psychology , 18(1), 105-115. Deci, E. L., & Ryan, R. M. (2008). Self-determination theory: a macrotheory of human motivation, development, and health. Canadian Psychological Association, 49(3), 182-185. Deci, E. L., Koestner, R., & Ryan, R. M. (2001). Extrinsic rewards and intrinsic motivation in education: reconsidered once again. Review of Educaitonal Research , 71(1), 1-27.
de-Marcos, L., Domínguez, A., Saenz-de-Navarrete, J., & Pagés, C. (2014). An empirical study comparing gamification and social networking on e-learning. Computers & Education, 75, 82-91. Denny, P. (2013). The effect of virtual achievements on student engagement. CHI 2013: Changing Perspectives (s. 763-772). Paris: CHI. Deterding, S., Dixon, D., Khaled, R., & Nacke, L. E. (2011). Gamification: toward a definition. CHI. Vancouver,. Deterding, S., O’Hara , K., Sicart, M., Dixon, D., & Nacke, L. (2011). Gamification: using game design elements in non-gaming contexts. CHI. Vancouver: ACM. Dicheva, D., Dichev, C., Agre, G., & Angelova, G. (2014). Gamification in education: a systematic mapping study. Educational Technology & Society, 18(3), 75-88. Domínguez, A., Saenz-de-Navarrete, J., de-Marcos, L., Fernández-Sanz, L., Pagés, C., & Martínez-Herráiz, J.-J. (2013). Gamifying learning experiences: practical implications and outcomes. Computers & Education, 63, 380-392. Dong, T., Dontcheva, M., Joseph, D., Karahalios, K., Newman, M. W., Ackerman, M., & Ackerman, M. S. (2012). Discovery-based games for learning software. CHI'12. Texas: CHI. Donmuş, V., & Gürol, M. (2015). İngilizce öğrenmede eğitsel bilgisayar oyunları kullanımının erişiye ve kalıcığa etkisi . Turkish Studies International Periodical for the Languages, Literature and History of Turkish or Turkic, 10/15 Fall, 313-332. Eck, R. V. (2006). Digital game-based learning: it's not just the digital natives who are restless. Educause Review , 41(2). Fitz-Walter, Z., Tjondronegoro, D. W., & Wyeth, P. (2011). Orientation passport: using gamification to engage university students . 23rd Australian Computer-Human Interaction Conference. Canberra: ACM. Fotaris, P., Mastoras, T., Leinfellner, R., & Rosunally, Y. (2016). Climbing up the leaderboard: an empirical study of applying gamification techniques to a computer programming class. The Electronic Journal of e-Learning , 14(2), 94-110. Gagné, M., & Dec', E. L. (2005). Summary self-determination theory and work motivation. Journal of Organizational Behavior(26), 331-362. Glover, I. (2013). Play as you learn: gamification as a technique for motivating learners. World Conference on Educational Multimedia, Hypermedia and Telecommunications (s. 1999-2008). AACE. Gollwitzer, P. M., & Oettingen, G. (2013). Goal pursuit. R.R. Deci (Ed. ), The Oxford Handbook of Human Motivation. Oxford University Press. González, C. S., Gómez , N., Navarro , V., Cairós, M., Quirce, C., Toledo, P., & Marrero-Gordillo , N. (2016). Learning healthy lifestyles through active videogames, motor games and the gamification of educational activities. Computers in Human Behavior(55), 529-551. Hakulinen, L., Auvinen, T., & Korhonen, A. (2015). The effect of achievement badges on students’ behavior: an empirical study in a university- level computer science course. International Journal of Emerging Technologies in Learning (iJET), 10(1), 18-29. Hamari, J., Koivisto, J., & Sarsa, H. (2014). Does gamification work? a literature review of empirical studies on gamification. 47th Hawaii International Conference on System Science (s. 3025-3034). Hawwaii: IEEE Computer Society . Hamzah, W. M., Ali, N. H., Saman, M. M., Yusoff, M. H., & Yacob, A. (2015). Influence of gamification on students’ motivation in using e-learning applications based on the motivational design model. nternational Journal of Emerging Technology Learning, 10(2), 30-34. Hanus, M. D., & Fox, J. (2015). Assessing the effects of gamification in the classroom: a longitudinal study on intrinsic motivation, social comparison, satisfaction, effort, and academic performance. Computers & Education(80), 152-162. Ian, G. (2013). Play as you learn: gamification as a technique for motivating learners. Proceedings of World Conference on Educational Multimedia, Hypermedia and Telecommunications 2013 (s. 1999-2008). Chesapeake: AACE. İnal, Y., & Çağıltay , K. (2007). Flow experiences of children in an interactive social game environment. British Journal of Educational Technology, 38(3), 455-464. Juárez, G. H., & Carballo, M. M. (2016). Learning gains, motivation and learning styles in a gamified class. International Journal of Engineering Education , 32(1), 438-447. Kim, B. (2015). Understanding gamification . Library Technology Reports, 51(2). Kim, T. W., & Werbach, K. (2016). More than just a game: ethical issues in gamification. Ethics Inf Technol(18), 157-173. Kocadere, S. A., & Çağlar, S. (2015). The design and implementation of gamified assesment. Journal of e-Learning and Knowledge Society, 11(3), 85-99. Kocadere, S. A., & Samur, Y. (2016). Oyundan oyunlaştırmaya. A. İşman, F. Odabaşı, & B. Akkoyunlu içinde, Eğitim Teknolojileri Okumaları (s. 397-414). Tojet-Sakarya Üniversitesi. Lee, J. J., & Hammer, J. (2011). Gamification in education: what, how, why bother? Academic Exchange Quarterly, 15(2). Meire, D. (2000). The accelerated learning handbook. McGrow Hill. Nakamura, J., & Csikszentmihalyi, M. (2002). The concept of flow. C. R. Snyder, & S. J. Lopez içinde, Handbook of Possitive Psychology (s. 89-105). New York: Oxford University Press. Nakamura, J., & Csikszentmihalyi, M. (2014). The Concept of Flow. M. Csikszentmihalyi içinde, Flow and the Foundations of Positive Psychology (s. 239-263). Springer . Nicholson, S. (2012). A user-centered theoretical framework for meaningful gamification. Games+Learning+Society 8.0, Madison. Papavlasopoulou, S., Giannakos, M. N., & Jaccheri, L. (2017). Empirical studies on the maker movement, a promising approach to learning: a literature review. Entertainment Computing, 18, 57-78. Pedersen, B. B. B., Poulsen, M. L. (2016). 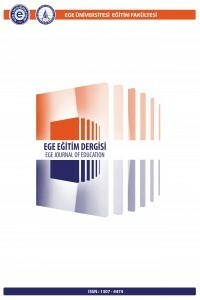 A systematic review of gamification in education: Towards a more structured use of game mechanics (Yüksek lisans tezi). Aarhus University. Bss. Department of Management, Aarhus. Pesare, E., Roselli, T., Corriero, N., & Rossano, V. (2016). Game-based learning and gamification to promote engagement and motivation in medical learning contexts. Pink, D. H. (2009). Drive . (Göktem, L. Çev.) Kapital Medya Hizmetleri. Prensky, M. (2007). Dijital Game-Based Learning. St. Paul: Paragon House Editiıon. Roper, Z. J., & Vecera, S. P. (2016). Funny money: the attentional role of monetary feedback detached from expected value. Atten Percept Psychophys(78), 2199-2212. Ryan, R. M., & Deci, E. L. (2000a). Intrinsic and extrinsic motivations: classic definitions and new directions. Contemporary Educational Psychology(25), 54-67. Ryan, R. M., & Deci, E. L. (2000b). Self-determination theory and facilitation of instrinsic motivation, social development, and well-being. American Psychologist, 55(1), 68-78. Samur, Y. (2015). Gamifying a hybrid graduate course. Paper session presented at the Global Learn Conference, FernUniversitat in Hagen, Berlin, Germany. Samur, Y. (2016). Dijital Oyun Tasarımı . İstanbul: Pusula. Seaborn, K., & Fels , D. I. (2015). Gamification in theory and action: a survey. International Journal Human-Computer Studies(74), 14-31. Siemens, J. C., Smith, S., Fisher, D., Thyroff, A., & Killian, G. (2015). Level up! the role of progress feedback type for encouraging intrinsic motivation and positive brand attitudes in public versus private gaming contexts. Journal of interactive marketing(32), 1-12. Türker, P. (2016). Beyin temelli öğrenme & oyun temelli öğrenme. E. A. Yılmaz içinde, Oyunlaştırma (s. 232-235). İstanbul: Abaküs. Werbach, K. (2014). (Re)Defining Gamification. Persuasive Technology. Padua. Werbach, K., & Hunter, D. (2012). For the win . Phiedlphia: Wharton Digital Press . Yıldırım, İ., & Demir, S. (2014). Oyunlaştırma ve eğitim. International Journal of Human Science, 11(1), 655-670.